TMS is looking to buy large quantities of 25 KVA and 37.5 KVA electrically good polemount transformers. Welcome to Transformer Maintenance & Service, Inc. We are located in two small towns one in Newton Grove, North Carolina and the other being Mooresburg, TN. We appreciate that you have taken the time to let us serve you with the current services that we offer. The utility business is critical to this nation and its security. Our company is glad to assist with helping protect and serve the people by helping our customers maintain their utility equipment. With the cost associated with todays equipment it is imperative we maintain all components and ensure that they meet all ANSI and IEEE standards of today. Transformer Maintenance and Service, Inc. currently employs around 115 full-time personnel and work in NC, SC, VA, TN, PA, MD, DE, FL, GA, KY, OH, IN and AL. We have several Utility Representatives that get front and center with our customers to ensure that our customers stay connected. I would like to take a moment to give you a brief history of our company’s background and what services we offer. We are a family owned and operated business with a background that ensures integrity and trustworthy relationships with all of our customers. Our customer relationships turn into personal relationships that continue on after the work is completed and that is something in which we take great pride. Our employees all play a vital role and come with years of irreplaceable experience in the services that we offer. We proudly offer scholarships to our local high schools. We feel this is a great way for us to help ensure that our children are able to pursue their goals through higher education. We also proudly donate to our customer’s charity outings and participate in these events when possible. Transformer Maintenance & Service was founded in 1978 in Smithfield, North Carolina. For 12 years TMS operated solely as a transformer repair shop. In 1990 we began offering the convenience of field services. Field services are performed at the customer’s job site and include inspecting and painting units, as well as infrared testing and OHM testing as needed. Five years later we improved the field service sector with the purchase of a mobile repair unit (MRU) which enables emergency (and non-emergency) repairs on units at the customer’s job site in addition to cosmetic improvements. Furthermore, we increased our shop services by taking on regulator and recloser repairs. 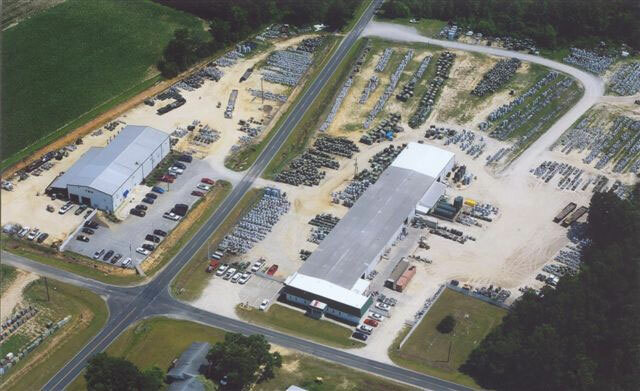 To accommodate explosive growth, TMS incorporated in 1996 and relocated 2 years later into a 20,000 square-foot facility in Newton Grove, North Carolina. As recently as March 2001 we expanded our regulator and recloser department to maximize the efficiency and turnaround time of repairs on these units. In 2003 we opened a new facility that houses our new state of the art paint booths and prep areas along with our high bay garage to help maintain our growing fleet of field service trucks. Not only do we now have the capability to utilize all the latest technology in our shop, but we have also increased the menu of services available in the field by adding 4 bucket trucks for street light restoration, and a line truck to perform substation maintenance including retro-filling transformers and repairing regulators and breakers on site. In 2003 we added wood pole inspection/treatment services to our field services. TMS started Transformer Investment Recovery in 2006 and this has been very explosive with the rising cost of metals. TMS offers competitive pricing on all surplus transformers, regulators, reclosers, etc. In the final months of 2007 we opened a new facility to accommodate the investment recovery operations. On January 1, 2011 TMS acquired Ross Meter Service, Inc. and renamed it to be Ross Maintenance & Service, LLC. Ross opened its doors in 1948 testing and repairing relays and meters. In 1958 they began working on Reclosers and became a McGraw Edison Authorized Service Center currently Cooper. As of today we are proud to say that we are the oldest Cooper Authorized Service Center in the World. As growth continued, Ross began working on Regulators and transformers in the middle 60’s and became an Allis Chalmers Certified Service Center in 1968. Ross maintained that status until Siemens did away with the Service Center Program. From the beginning of the firm Ross Meter Service also did field work for their clients, testing relays in substations. At the request of these clients in the mid-sixties Ross also began servicing substation equipment, from tap changers on power transformers to circuit breakers, as well as commissioning of new substations. We are happy to now offer even more services to current customers of Ross Maintenance and Service, LLC. With this we will offer the additional field service repairs that are listed on this website along with their current testing services. We will also offer our services for transformer work up to 15 MVA. We feel that the capabilities of Ross Maintenance & Service, LLC will mesh well with the services already offered by TMS to offer utilities in these states the opportunity to have virtually all of their servicing requirements handled by one supplier. Due to growth in January 2016, TMS renamed Ross Maintenance and Service, LLC to TMS, TN Division and moved into a larger building in Mooreburg, TN. With the move we will now be able to accomodate larger units and the growing needs of our customers. Once again please take a moment to see the services that we can provide for you today. We offer a quality product at a cost effective price.